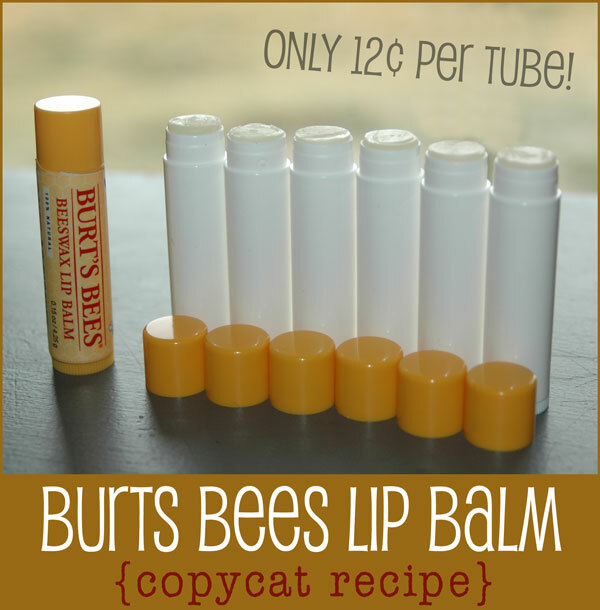 I absolutely LOVE Burt’s Bees Lip Balm and I recreated the perfect copycat recipe from scratch! Our ancestors didn’t have the luxury of owning many beauty products. From what I have researched it looks like when they got chapped lips they used goose or duck fat, vaseline, and in a pioneer memoir there was even mention of someone using ear wax (ewww!). 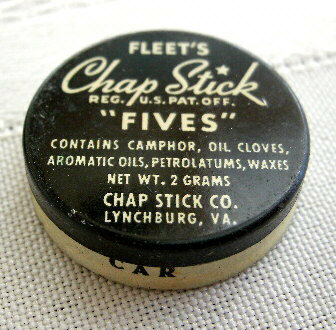 Chapstick itself wasn’t invented until the early 1880’s by Dr. Charles Browne Fleet and didn’t get popular until around 1912. He was a physician from Virginia and invented ChapStick as a lip balm. The handmade product looked like this picture. I wanted to try to make my own lip balm from scratch. Burt’s Bees Lip Balm is my ultimate favorite – in fact if I had to go on the show “Survivor” it would probably be one of things I would choose to bring. 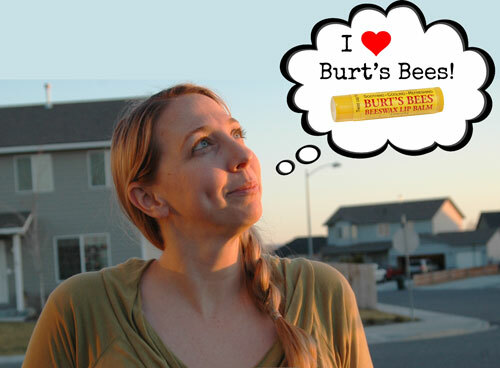 I just gotta have my Burt’s Bees! Since I love it so much I wondered if I could make it myself. I turned the tube around and read through the ingredients: Beeswax, Sunflower oil, Vitamin E, Lanolin, Peppermint and Rosemary. 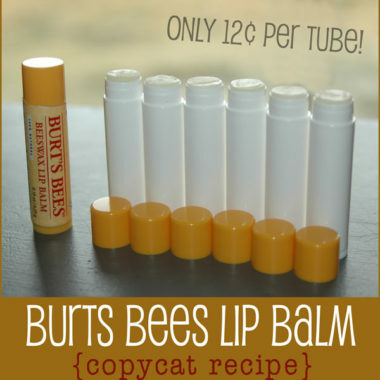 Yes..yes I think I could make a copy cat recipe of Burt’s Bees Lip Balm! And so that’s just what I did. I got right to work looking for and ordering up some of these natural items like Beeswax and Lanolin. Found some chapstick tubes online and ordered them in. Then I played in my kitchen for a few days trying to get the recipe right. And I did it! My recipe feels, smells and tastes just like Burt’s Bees Lip Balm!! Plus when I did the math they only end up costing me only $0.12 per tube – wow! I added the ingredients in grams so that if you have a little scale you can get accurate & exact measurements (which is best) but if you don’t have a scale I measured them too. 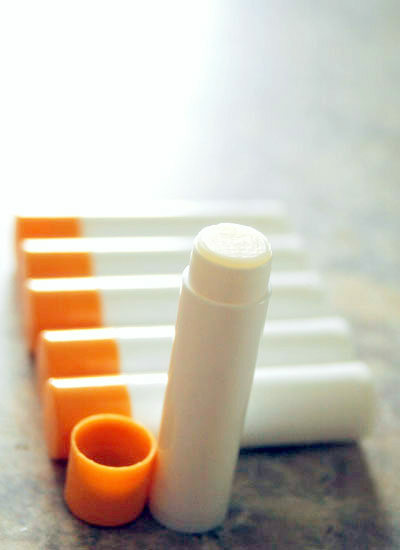 I never realized how extremely easy it is to make chapstick! Basically all you need to do is melt it all and pour into your containers! Easy peasy. 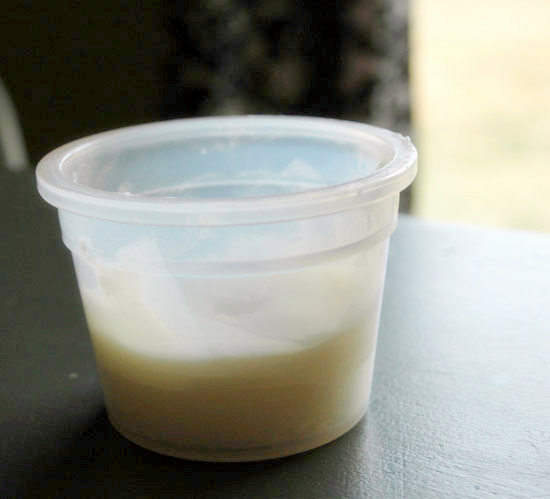 When I first started making chapstick recipes I just used a glass measuring cup and melted my recipes in the microwave which worked perfectly fine. 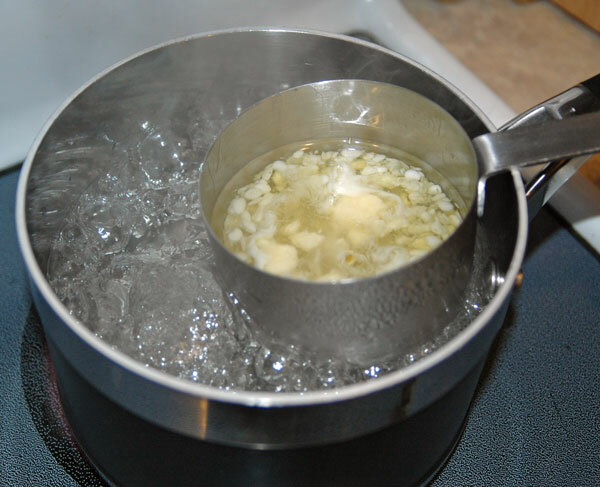 But then my microwave broke so now I am using a double boiler method, but you could just melt it in a pot too. I used a metal measuring cup to add all my ingredients into. 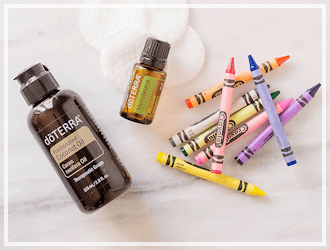 Step one – measure out all your ingredients except essential oils into a cup or pan. I cut open the little Vitamin E tablets and squeezed the good stuff into the cup. Next, melt all the ingredients, and stir. The beeswax seemed to take the longest to melt, but it was all melted within a couple of minutes. Once it’s all melted add your essential oils and mix it up. Then test it out, to make sure it has the flavor you want by letting a tiny bit cool on your finger. Rub it on your lips and check if its just right. 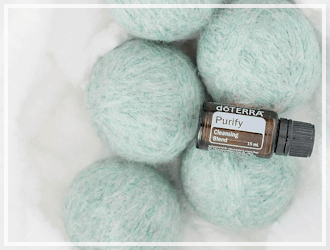 If you feel it needs more mint or other flavorings, add more! Then voila! You are done. Just let them all cool. I had more liquid than I had tubes so I poured the rest into a small container and let it cool. I will stick this one in my bathroom and use it everyday, it will probably last me a whole year! 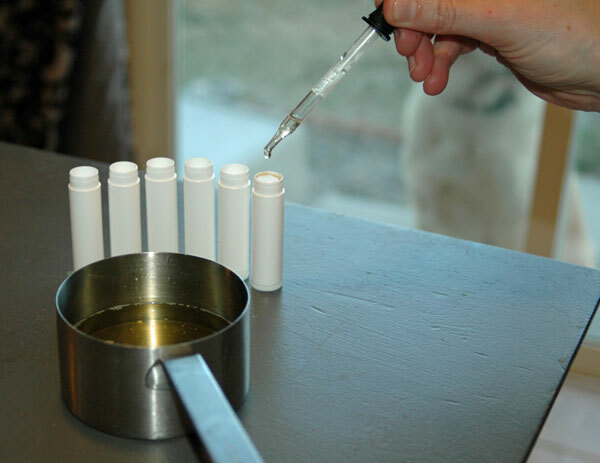 I cannot believe how easy it was to make my favorite Burt’s Bees Lip Balm from home. WORTH THE TIME? 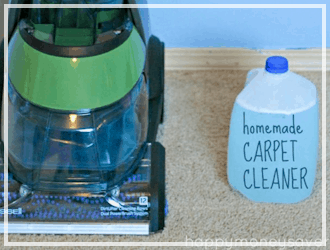 YES – super quick, easy and enjoyable! 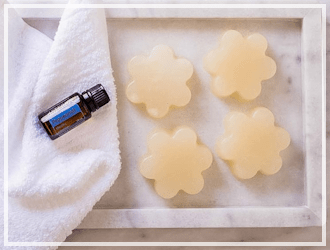 DRAWBACKS: The only drawback I can see is the initial start up cost can run you from $30-$60, but you will be able to make lip balms and other products in the years to come with all the leftover oils and products. 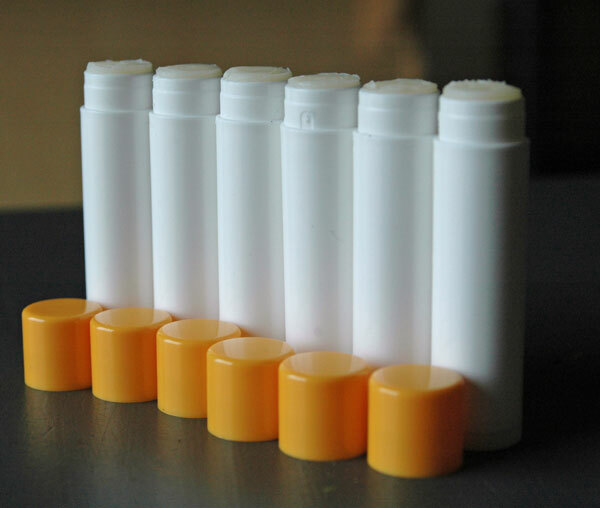 Lip Balm Tubes: I ordered mine through thesage.com, but have also heard people order them on ebay inexpensively too. Final: $2.70 for the recipe = $0.12 per tube! 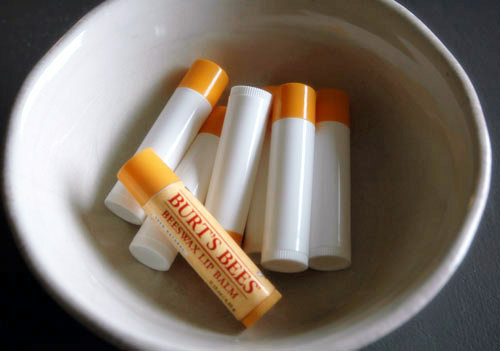 Make your own Burt's Bees style lip balm! 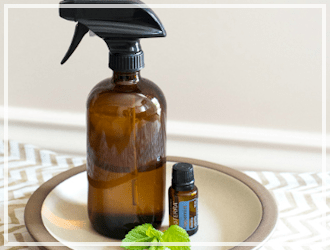 Measure out all your ingredients except essential oils into a heat friendly cup or pan. You can use a glass dish in the microwave also. I cut open the little Vitamin E tablets and squeezed the good stuff into the cup. Once it's all melted add your essential oils and mix it up. 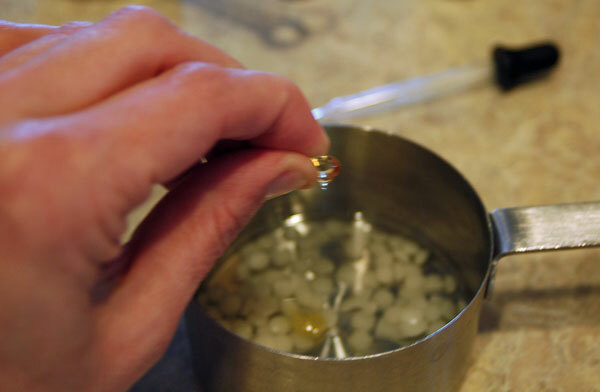 Final thoughts on making my own Burt’s Bees Lip Balm. 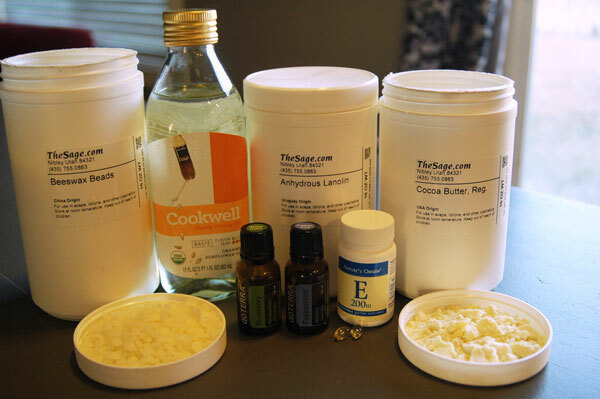 The only problem I had with this process was that I had to spend around $50 for all the ingredients since I had to buy oils and products in bulk. Seemed like an awful lot of money to start out spending when I could just spend $3 on a tube at the store right now. But after I got all the ingredients, and only used a teeny bit of them, I was able to make 20+ tubes of my expensive Burts Bees chapstick. It was so worth it. Plus almost every one of my ingredients does not expire for a LONG time ( in fact the only one I am worried about is the sunflower oil). So as soon as these tubes are used and gifted away I can make another batch. I will NEVER go back to buying store made chapstick again after this experience. I am hooked for life. 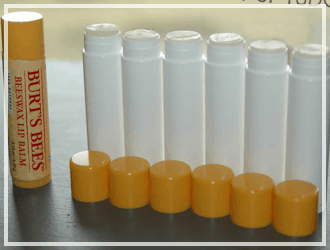 It’s so easy and when I see that I only spent $0.12 per tube of Burt’s Bees lip balm when I usually paid $3.00 at the store I feel good knowing I am saving lots of money! This is amazing! 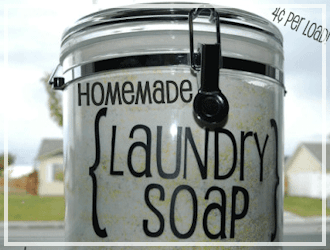 I can’t wait to try another one of your homesteading projects! Thank you for sharing! Am really enjoying following your adventures…!! I must say that the garden and Comet story make me chuckle every time I think about it. It may not be the 1800’s, but your experimentation/s are pretty interesting in their own right; especially translating the back of product labels. Awesome! This is one of my husbands favorite products, so if I don’t win I know I will eventually make it anyways! WOW! I was so excited reading your post, THEN I saw the giveaway… This would be so awesome! Thanks for posting this great info and for the chance to win a super cool kit, rock on! Thanks for sharing and for great giveaway! What a blessing to be able to win! I LOVE chapstick and wear nothing but that! Looks like a lot of fun. Would love to try it myself. 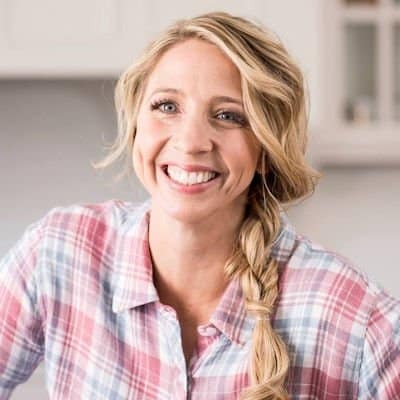 I am looking forward to your homesteading series. I love all your homesteading ideas. I also love Chapstick especially Burt’s bees. I am wanting to try this recipe out soon. I hope I win! I love Burt’s Bees! Shhhh…keep this between us, but I am obsessed! I have a stick in every coat, purse, glovebox, etc and I am fearing that I am passing this onto my 4 year old daughter as she loves the “beegloss” Momma! 🙂 I would love to make my own and save me some cash! Love your blog…trying to follow your homesteading in baby steps! Keep up the great work! How wonderful! 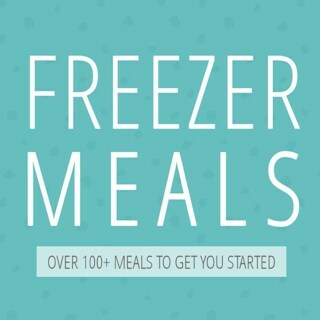 I would love to try and make some! This would be AWESOME! I am also getting into making my own soap so this would be super cool!! I love this! I can always use some lip balm, my kids find fun in putting lip balm on their lips, it’s all natural and money saving. Thanks for posting your recipe!! Thanks for all your great deals, and homesteading ideas. co-op the supplies with…everybody pitches in and shares in the expenses and labor, as well as the rewards. – 1kg soap base for just over £6, lasts an unbelievable amount of time! I buy my beeswax from the local hardware store for 99p a bar which is great because I’m a really impulsive DIYer but the downside is you have to cut it yourself. It’s not that big a deal if you’re not making large quantities at a time though. 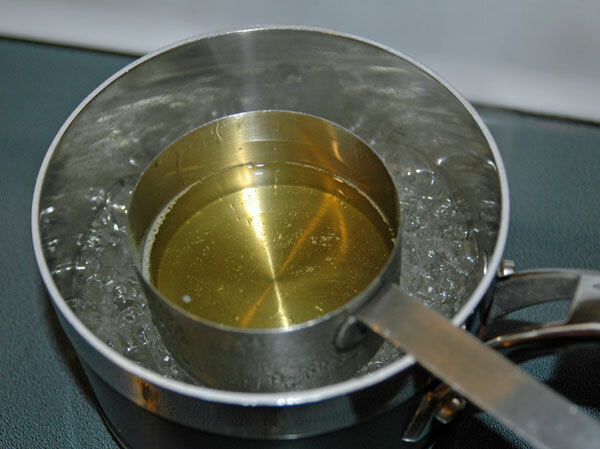 I also buy huge blocks of paraffin wax from there because I have my own special really effective hockey stick wax formula which utilises paraffin wax and coconut oil and goes into these little twist-up tube things you can buy from Amazon. I’m sorry I’m speaking from the UK here but as far as I’m aware the items I’ve listed above are all available from American suppliers as well!